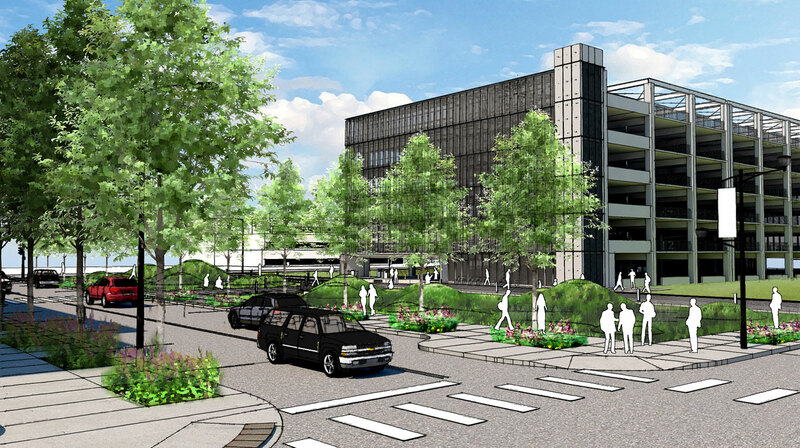 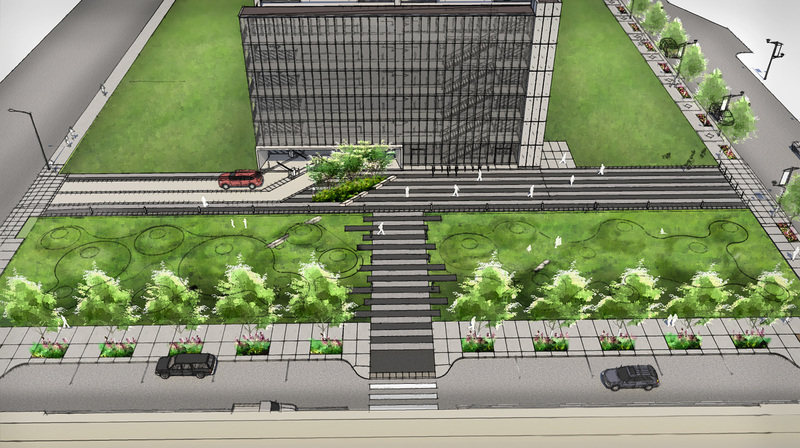 In conjunction with the renovation of Des Moines’ historic City Hall, planned expansion of City offices and private development to the east across Robert Ray Drive [ currently surface parking lots ], the City partnered with local developers to create a mixed-use plan that adds residential units, commercial space, retail, structured parking and space for a new annex to City Hall. 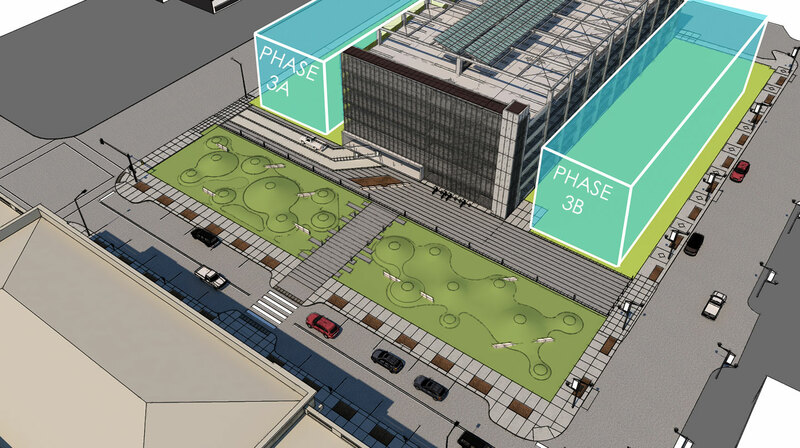 The indefinite schedule of future development in this area made the City reluctant to invest in permanent amenities and trees, due to concern that the public would become attached to any amenity that took shape as ‘park’. 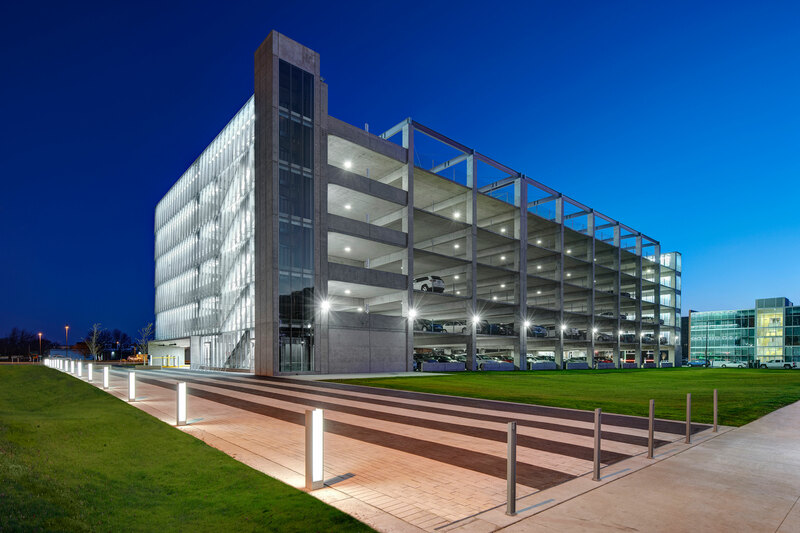 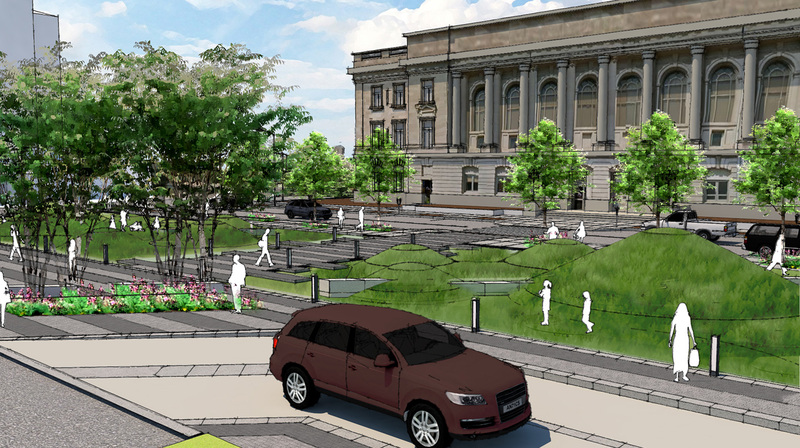 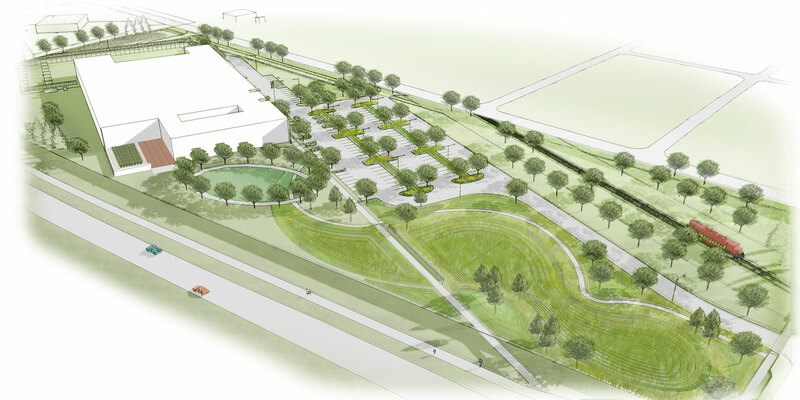 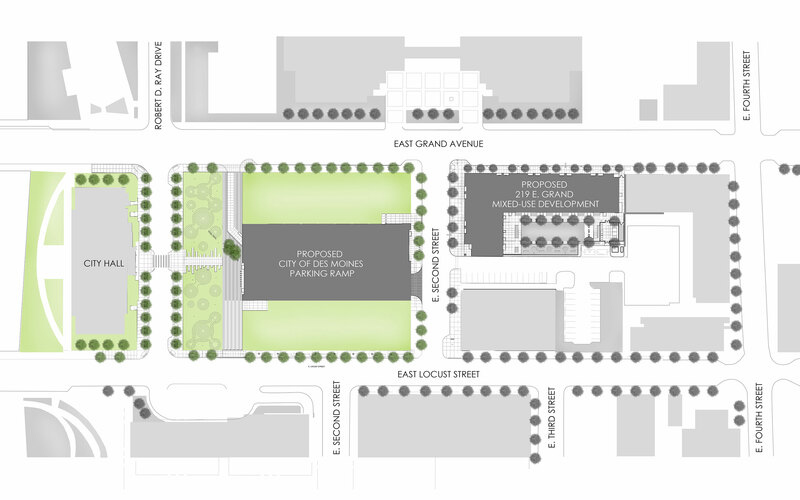 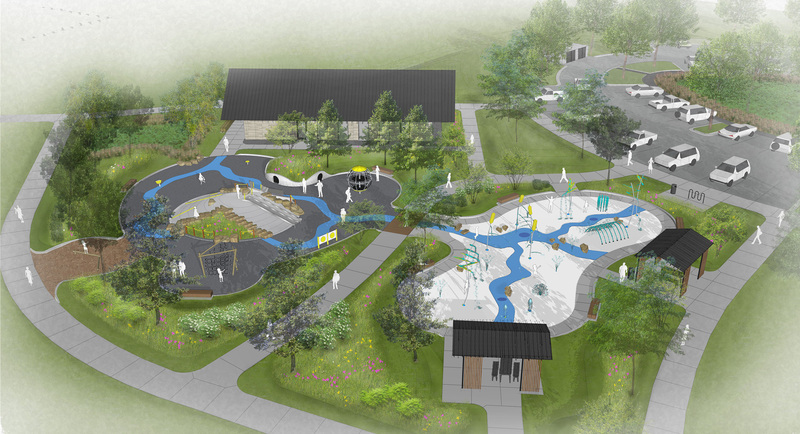 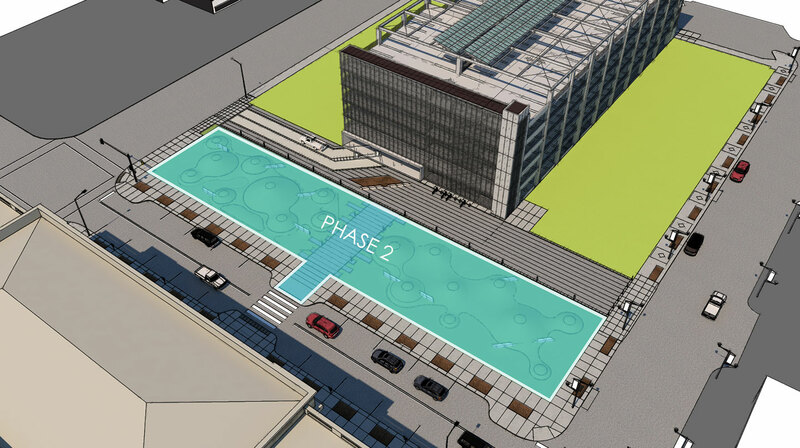 As a bold alternative to the typical flat, vacant, pre-development lots in downtown Des Moines, City Hall Green proposes an inexpensive temporary landscape that can serve as a green alternative to a temporary parking lot within Des Moines’ most vibrant urban neighborhood – the East Village. 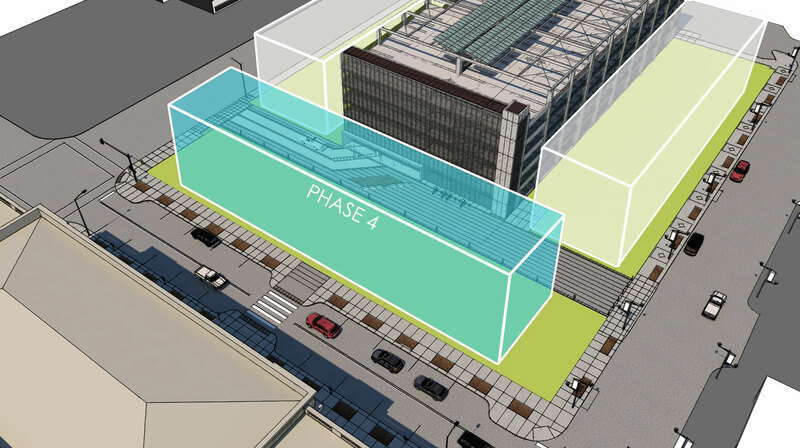 City Hall Green will be comprised of a 280’ x 60’ lawn panel, bisected by a 16’ wide, articulated unit paver walkway connecting the new parking structure with City Hall. 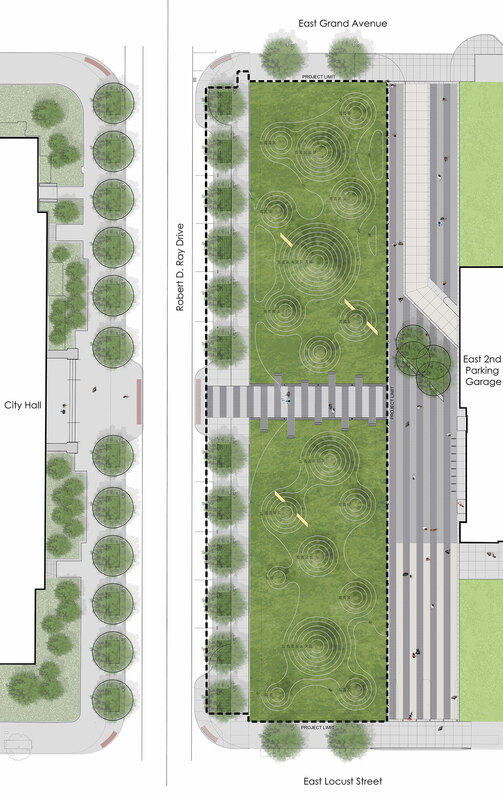 Extending on either side of this central spine, a field of 2’-7’ tall earthen mounds conceived at 2:1 slopes. 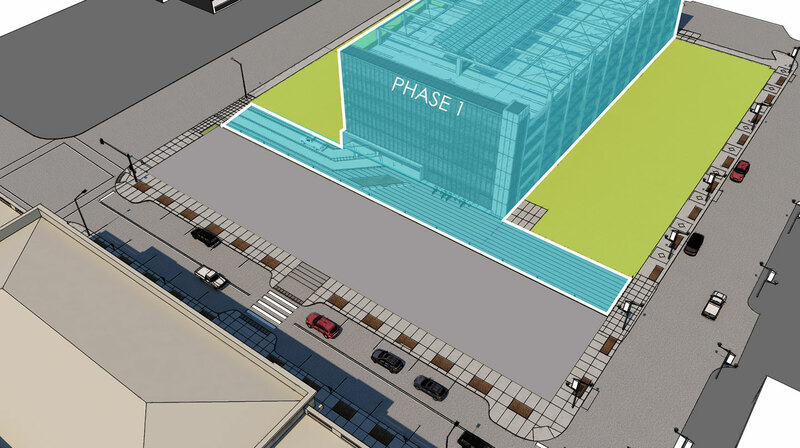 From street level, this undulating surface will act as a dynamic threshold to City Hall and the East Village Neighborhood.